Hi everybody! My name is Izzy Falkovich, and I’m a sophomore PR major from West Hartford, Connecticut. One of my favorite parts about Hofstra is that there are endless opportunities for students with all different kinds of interests. For me, that's a cappella. For those who may not know, an a cappella group is a bunch of students who sing with no instrumental accompaniment. 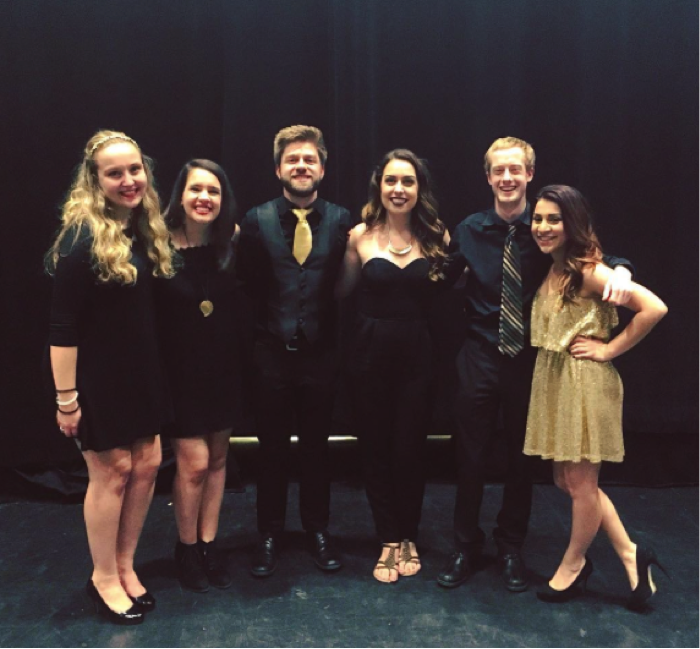 Hofstra currently has five a cappella groups: Makin Treble, The Hofstra Dutchmen, Sigma’capella, The Chai Notes, and The Hofbeats. I auditioned for the Hofbeats the first semester of my freshman year, and couldn’t have been happier when they invited me to be a part of the group. A year later, I currently serve as Treasurer on the E-Board, and it has been one of the greatest experiences of my college career. 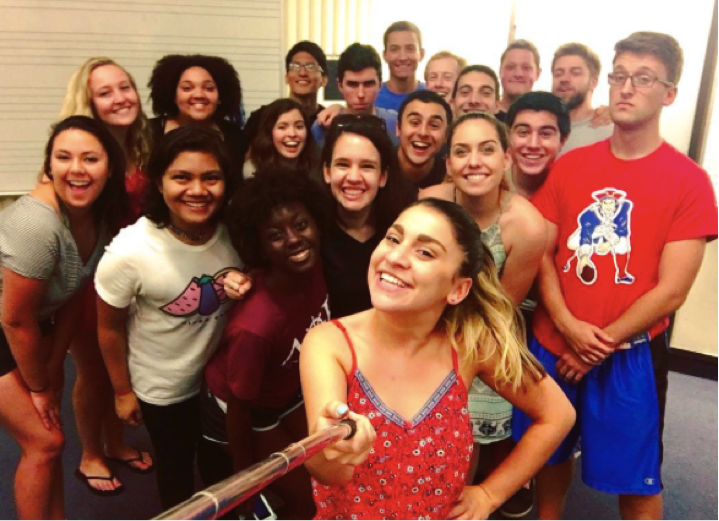 We’re currently a group of 21 undergraduate students who rehearse about twice a week, with not only concerts once or twice a semester, but also various performances at club events and fundraisers! With the help of the E-Board, we arrange, learn, and perform 100% of the songs that we sing, making us completely student run! It’s a real testament to the maturity and independence of the group, and while it’s hard work, it’s also an amazing time! Although the first semester recently came to a close, we’ve already done some pretty amazing things! We recently wrapped up an invitational that we co-sponsored with the Hofstra Dutchmen, called “The Dutchbeats Invitational." The event took place on campus in Monroe Lecture Hall and included groups from the New York metro area like The Queens College iTones, Pace University’s Tonal Recall, the Stony Brook Pipettes, and the FIT Skyliners. The event was not only a concert, but a fundraiser for a local homeless shelter, as well. By the end of the night, we raised over $500 and 100+ cans of food! 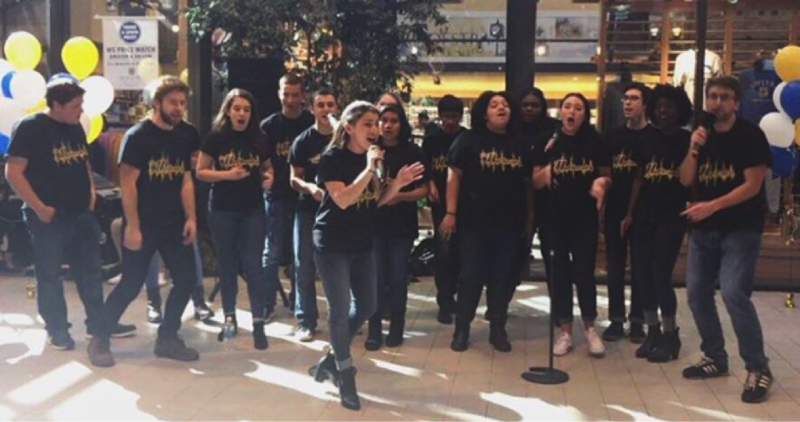 Not only was it great to see other a cappella groups performing, but it was very rewarding to know that we were contributing to something bigger than ourselves. Another one of my favorite things about being in the Hofbeats is the fact that we perform at a lot of admission events (talk about worlds colliding!). We perform at almost every single Open House and Admitted Student Days, and it’s how a lot of our current members found out about us as a group. It’s really rewarding to know that we play a role in prospective students being interested in Hofstra. In addition, we recently found out that we've been chosen to compete in the 2017 ICCA Quarterfinals!! For those who don’t know, the ICCAs (or International Championship for Collegiate A Cappella) is a competition put on by Varsity Vocals (you probably know it as that competition from the movie Pitch Perfect). The is the first time in the seven years of Hofbeats history that we are competing, and we could NOT be more excited! 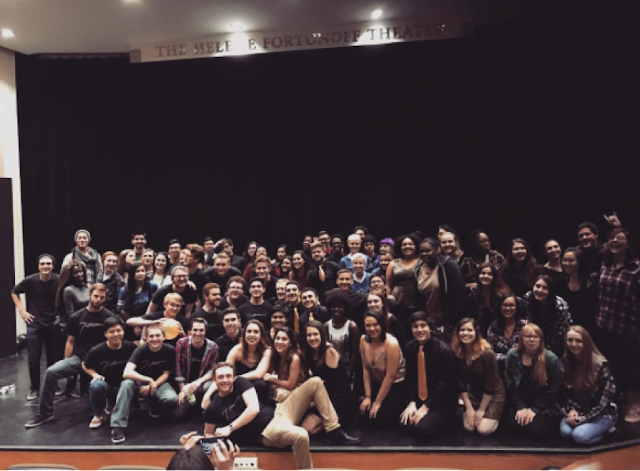 We will be competing along with two other Hofstra a cappella groups (Makin Treble and Sigma’capella) on February 11, 2017 at the College of Staten Island. The Hofbeats performing at a recent Open House! Hofstra a cappella is an amazing place for anybody. It’s a comfortable, supportive community for everybody, and it's where I’ve met some of my best friends. For that reason and for so many more, it’s by far one of my favorite parts of Hofstra, and one that I wouldn’t be able to live without. If you’re interested in a cappella, don’t be afraid to reach out to us! We’re always looking for new members, and love meeting new people!